To try and take the hard work out of investing, potential investors look for a ‘sure thing’. As the name suggests, a sure thing is an investment that always pays out and that is almost risk-free. And, at the moment, gold is often epitomised as most risk-free investment possible. However, investing in gold doesn’t always go to plan, because, there is no such thing as risk-free investment. So, before you put your money where your mouth is, you might want to understand the possible benefits and pitfalls first. When you invest in gold bars and bullion, the investment is a perfect correlation to the market price. Simply put, depreciation is something that you hardly have to account for with physical gold like bars and bullion. It is easy to see, then, where the myth of the perfect investment came from because people often misunderstand. Now, everything might seem simple, but it’s far from simple. Apart from various other factors to consider, there is the extra cost. Due to production, there could be an additional cost of anywhere up 15pc. Then, there are the transport costs. The cost of transporting gold is not cheap because you need specialist equipment and companies to do the job. Of course, there is also the cost of insuring your investment, something any investor must do or risk losing everything. And, finally, there is the security aspect. With any precious metal, it is wise to buy a top of the range safe. In the end, all this can add thousands to your initial investment. 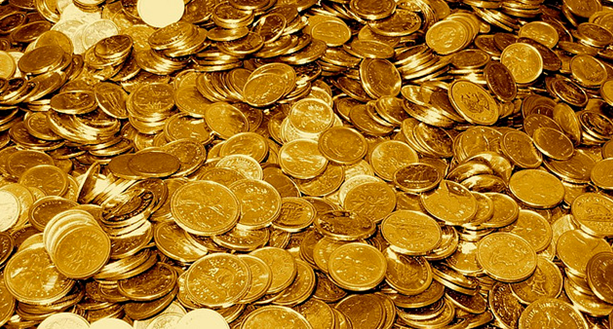 Contrary to popular belief, gold is easy to find. Almost every piece of jewellery you come across will contain gold if it advertises the fact. The reason some differ in price is due to the amount of gold per ounce in the jewellery. But, if you can get enough pieces together, you can create a healthy portfolio that you can sell on for a potential profit. Verifying the gold content is not an easy job in some places in the world. Why would this be relevant? It is relevant to some people because they invest in gold abroad. The price of gold and other precious metals is cheaper in places like India where the supply and demand are not as high. You should always be careful when you invest in gold in countries that are not as reputable as the places you normally shop. Look for the tell-tale signs, and only invest if you are positive. Whether you have gold jewellery or gold bullions, you will always find a buyer. The price might differ from what you would like, but there would be an offer on the table. Where most investors struggle is their inability to move their investment on for a profit. Gold almost always goes for a profit. There are plenty more pros and cons to be aware of, so do your research before you make your final decision. Previous Post: Experience the World and Stay Fit through Dance!